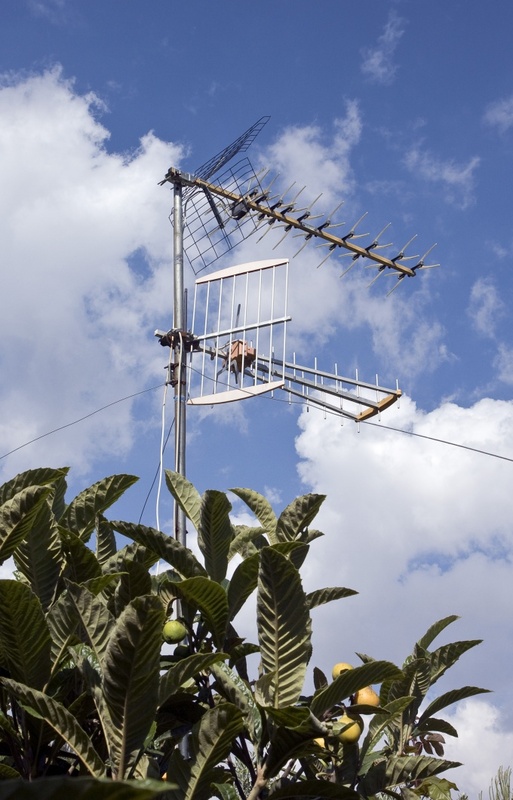 Sometimes the signal level at the input of the radio or TV is insufficient for reliable reception. In these cases use the external antenna, including directional and antenna amplifiers. Their use sometimes able to approximate the reception quality to one that provides collective antenna. For the reception of long, medium or short wave good outdoor antenna. It is a wire with a length up to several tens of meters, suspended at a height of about twenty meters. Such a structure is rational to build in rural areas. Outdoor antenna must be equipped with gruzopoluchateljam and ground during a lightning storm. Operation without grounding and gruzopoluchatelja not allowed. In the city, and in the absence of the desire to set gruzopoluchatelej, for admission to the same ranges you can use the indoor antenna. This is a piece of wire with a length of several meters, laid on the ceiling, and if you live on the first floor - even on the floor. Ground the receiver in the application this antenna is optional. Loop antenna for reception of short wave consists of a single square loop of wire with sides of one meter. For this round of connect variable capacitor with the upper limit of adjustment of about 350 picofarads. One of the conclusions of the capacitor connect to the antenna input of the receiver. Reception of ultrashort waves on any receiver except automotive, can be improved by using antennas with a length of about two meters. To do this, take a piece of wire of appropriate length and to one end solder the clip. This clip is put on the telescopic antenna of the receiver. The receiver is usually able to take the station in two ranges: medium and ultra-short waves. In order to increase its sensitivity, you will have to use a special antenna with built-in amplifier. Note that under the guise of such amplifiers are often sold empty boxes on which only the led. Not to run a fake, buy them in safe places. TV antenna for improved reception supplied with amplifiers, which are placed in close proximity to them. You can buy an antenna in which the amplifier is already there, and you can buy one for your existing antenna. Power is supplied to it not on a separate cord, and on the same cable that the antenna is connected to the TV. The amplifier includes a distribution device consisting of a throttle, through which it is powered, and capacitor, on which cable the signal is received. The same splitter have a special antenna connector that is included in the device. Usually it is attached and the power supply, pre-attached to Takeru. But the coaxial cable of the desired length will have to be purchased separately and lead from the TV to the antenna with the amplifier on their own, guided by the instructions for the device. To cell phone worked better, say, in a metal construction trailer, install it on the roof of a small TV antenna without any amplifier. The cable from it, draw the window of the trailer, desolder from the connector, instead solder to the copper core of a piece of wire with a length of eight inches. Use the phone, holding it next to the piece of wire.